Author: Watkins, Paul Set In . . .
On the eve of World War II, David Halifax, a young American painter, receives a scholarship to come to Paris and work under the tutelage of the mysterious Russian artist Alexander Pankratov. But as Nazi forces encroach, Halifax realizes the true purpose of his visit: to forge masterworks of the Paris museums, and with the aid of a wily art trader, barter the fakes to Hitler's legion of art dealers. 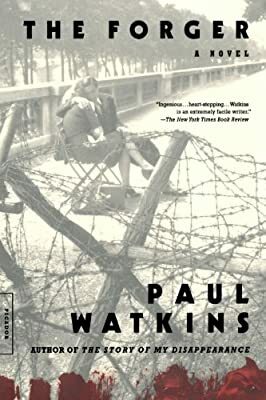 What develops is a riveting cat-and-mouse game that moves through Paris's silent streets, through the tunnels beneath its museums, and eventually into the war-torn countryside of Normandy.